Apple denies Chinese hacking, iPad Pro rumors, Google's new products, and your comments and questions. Apple has made several strong denials about any possibility that the Chinese has hacked the company’s servers. More iPad Pro rumors surface, and Google released some new products. We also respond to your comments and questions. Apple has made several strong denials about any possibility that the Chinese has hacked the company’s servers. More iPad Pro rumors surface, and Google released some new products. 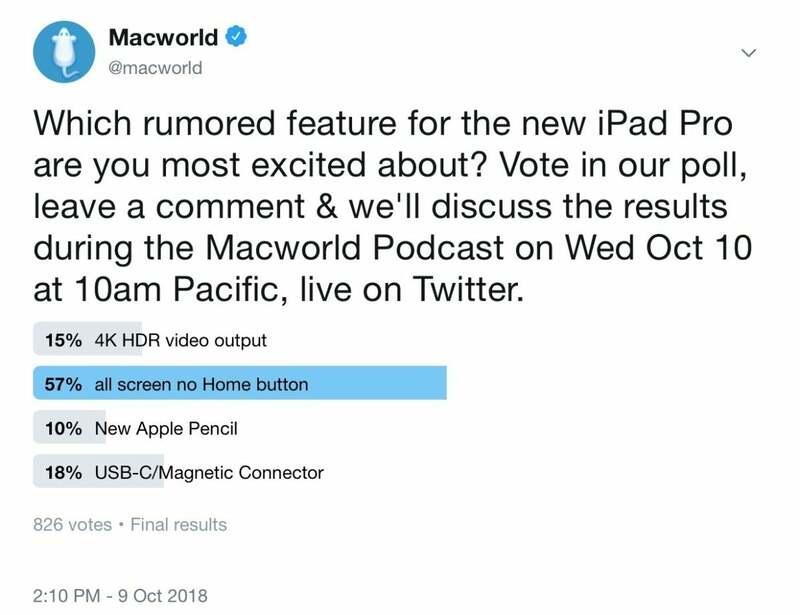 We also respond to your comments and questions for Jason Cross, Leif Johnson, Roman Loyola, and Dan Masaoka in the Macworld Podcast, episode 625. Which rumored feature for the new iPad Pro are you most excited about? Here are the results of our Twitter poll. Macworld has teamed up with iMobie—the makers of the AnyTrans data transfer service—to give away a free 64GB space gray iPhone XS Max to one lucky Macworld reader. Here’s how you can enter the giveaway.